Would you like to quit smoking, but have not succeeded yet? Perhaps you have realised that willpower alone is not enough. Then use the power that Kiez Hypnose Berlin can offer you. Smoking cessation is so easy and successful with hypnosis because you team up with an important ally: your subconscious mind! Paired up with your conscious mind, you have everything you need to become a non-smoker without withdrawal symptoms! Physical withdrawal symptoms occur when someone mainly uses force to stop smoking. This pressure causes stress, and stress increases cravings for a cigarette. With hypnosis, there is no such urge, as hypnosis dissolves your desire to smoke in your subconscious; therefore the need to smoke disappears. 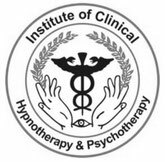 I have been a heavy smoker myself and I managed to quit eventually with the help of hypnosis. Therefore, I am able to bring my own experience to the stop-smoking session. 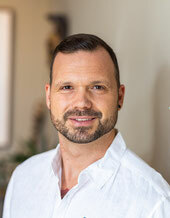 Based on extensive research of the best non-smoking hypnosis techniques, I will develop a custom system that ensures that you leave my practice strong and free, and without the urge for nicotine. This makes the smoking cessation at Kiez Hypnose so unique and successful (see testimonials). It requires only one session! In a single two-hour session, I will show you how to become a non-smoker. Call me if you are interested and we can clarify any questions you may have together.